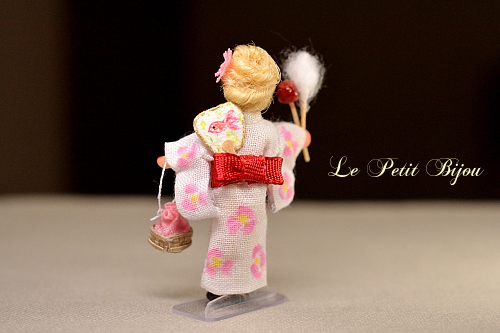 but, recently, I'm getting more busy and less and less time to make miniature. So, I couldn't update my blog for a long time. Three months have passed since previous article! During all that time, thank you so much for visiting my blog. 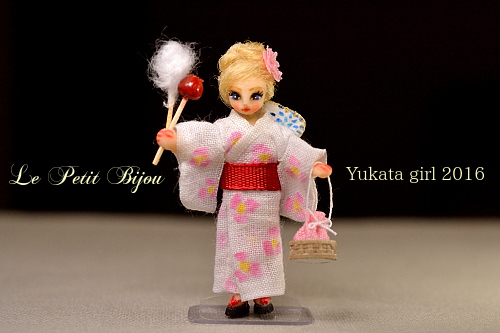 This summer, I made “yukata doll” of summer festival in japan. She is approx 1.52 inches tall. 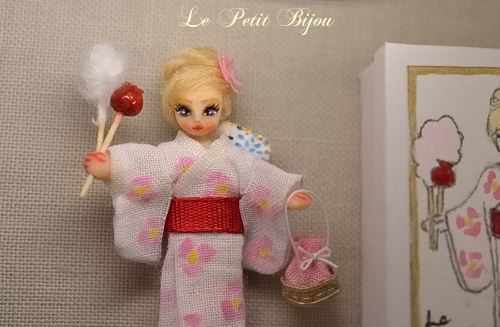 She is same design as the doll that I made in 2014. She went on an overseas in this early August. 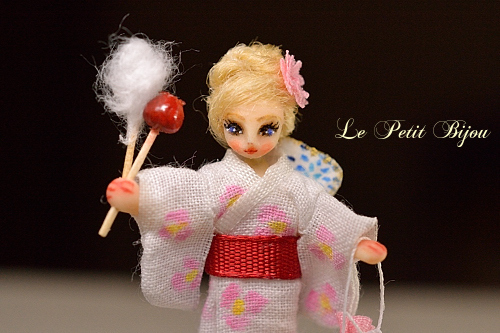 and holding a japanese style basket in her left hand. This japanese fun whose front and back were drawn by different paint. I also made doll's stand and special box. one is in Japan another one is in foreign country. 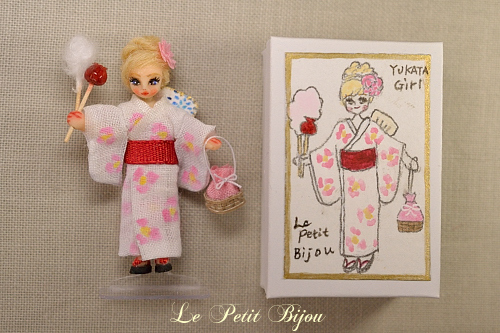 I am sooo happy they (clients overseas) were pleased with this yukata doll.